Regardless of the kind of writing conference, course, or retreat you attend, here are some ways to make the best of it. You have most likely paid money for this experience, so it’s up to you to get your money’s worth. In almost all circumstances the main reason to attend is to learn more about the craft of writing, about genres, and about the publication process. Some conferences have the primary purpose to pitch your book to an agent(s). We have to make an effort to gain the most from the experiences. So listen; take notes; ask questions; offer examples, if appropriate; conduct writing exercises and activities; review others’ work, if requested; and talk to speakers after their presentations, if your questions weren’t answered. Take responsibility to wring the most from the experience. 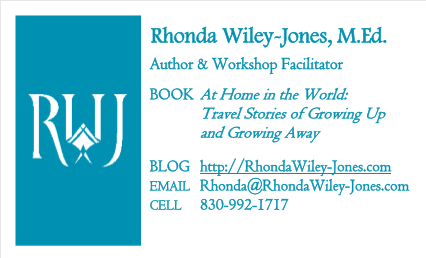 TIP: I create a page just for ideas that I hear or ones that I repurpose for my work. When listening to a speaker or another participant and I hear a new idea that solves a problem or offers an opportunity, I capture it quickly on the Idea Page. I can leave with more bang for my buck, if I work at it. Another key reason for attending a workshop or conference is to meet other writers. For the introverts among us (and there are probably more in our ranks than in the general population), this can be excruciating; for the extroverts, it can also be daunting to meet new people in a new setting. Take advantage of receptions, themed tables that collect writers of the same genre or for discussions, as well as the bookstores and exhibitors. Be friendly, interestedm, and aware of how you are received. Move on and move around, don’t stay too long in one place or with one person. What are you writing? What genre? Where are you in the process? What has been your biggest writing challenge? Knowing what you know now, what advice would you offer me and other writers? Which session(s) have you attended? What did you learn? Conferences, workshops, and retreats can be tiring. Arrive rested. Get plenty of rest while there. Take a nap, if time allows and it will help. Bring music, an eye mask, earplugs, or anything that helps you sleep. Drink plenty of water. Bring your own water bottle if that works for you. We know the brain needs hydration to stay at full capacity. Eat healthily but not too much. Overeating can make us drowsy and inattentive. For introverts, we may need to take more breaks. Go to our room for some quiet time or journaling. We may want to skip one meal to regenerate our energy to keep up the pace that we otherwise may not be able to do. This may mean ordering room service or bringing snacks to replace a meal. TIP: Take a friend with whom you feel absolutely comfortable, perhaps someone from your writing group. You can share a room or not, whatever works for the two of you. The rewards of having a supportive partner along are great. It is easier to mingle and network as a twosome. If you go to different breakout sessions, you then have someone with whom to discuss the sessions you each attended. This doubles the material you can learn. Having a buddy along is just more fun! Your tips are right on! I especially like the tip on practicing what you’ve learned and practice immediately.